Not so long ago, when in Tripura, the statue of Communist leader Lenin was pulled down, in Tamil Nadu, H.Raja, one of the national secretaries of BJP remarked on a social platform “…Today it is Lenin’s statue in Tripura, tomorrow it will be the statue of caste fanatic EVR Ramasamy”. We must be grateful to the members of the ruling party for always pointing us to the right direction. They bring into focus and show us the personalities we ought to know about, whose ideas we need to understand and whose works we must add to our reading list. Ironically, these are not the people they glorify and support but those they want to imprison and erase from history (or in this particular case, break the statue of). Their enemies become our allies. 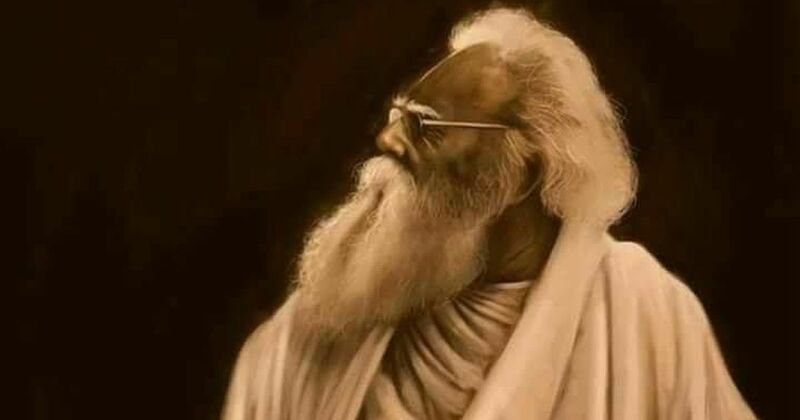 Periyar E.V.Ramasamy (1879-1973), not EVR Ramasamy as seen in H.Raja’s faulty post (the post was flawed not just in intention), was an ally of the marginalised and the oppressed. As his fundamental struggle was for achieving equality in the society, he fought against any system and institution that became a hindrance to this. He opposed and advocated vehemently against elitism, Brahminism, patriarchy, and religion as these legitimised inequality across class, caste and gender. Even god was not spared of his criticism and anger as he believed god to be the root cause of all inequalities. Periyar was a staunch atheist who viewed god as the direct enemy of reason and rationality. He started the Self-respect movement as he believed that only the recognition of one’s self-worth will help in the liberation of people from oppressive structures that systematically deny them their respect, human dignity, and humanity. he opposed and advocated vehemently against elitism, brahminism, patriarchy, and religion as these legitimised inequality across class, caste and gender. While India fought for its political freedom from the British, Periyar was fighting for the social rights of the Dalits and women. He is hailed as Vaikom Veerar (Vaikom Hero) as he worked tirelessly to earn the lower castes their right to enter the temple streets in Vaikom. His life’s struggle was directed towards the upliftment of the lower castes and women. Periyar’s views and ideas on oppression and liberation arise from a deep and critical understanding. He encouraged the oppressed to think for themselves and challenge the status-quo. When it came to the rights and equality of women in India, Periyar was a feminist at a time the word was still alien to India. Without even having the need to have read Virginia Woolf, he understood the importance of women’s financial independence and struggled to legally secure women their property rights. He firmly stood against all the oppressive structures, be it the institution of marriage, motherhood, customs, rituals, and traditions. Periyar recognised and understood that chastity, marriage, and motherhood are means through which patriarchy subjugated women. Pregnancy and childbirth were viewed as obstacles to liberty and chastity meant women’s ‘unfreedom’. The Hindu shastras and Manu Dharma were rejected by Periyar as their intention was to make women and lower castes slaves of men and Brahmins respectively and following these texts meant not realising the dream of equality in the society. According to him, marriage as an institution insisted on women’s slavery and the relationship between a husband and wife could be paralleled with one of master and slave. He also pointed out that marriage rituals and customs emphasised women’s subordination. He initiated the concept of self-respect marriages and got marriage rid of its traditional religious and patriarchal overtones. Marriage here, was likened to an agreement between two people who chose to live with each other and could be broken anytime the couple decides to. Inter-caste marriages were also encouraged by him as he believed those would lead to equality in the society. He also supported women’s right to divorce, abortion and remarriage. Periyar understood the inherently sexist nature of Tamil language and criticised it for derogating women. Since Tamil lacked the male equivalents of the words Vidhavai (widow) and Vibachari (prostitute), he coined the words Vidavan and Vibacharan to signify widower and male prostitute, respectively. If he had been alive today, he would have carried the tag ‘anti-national” with overwhelming pride and led the other anti-nationals against injustice. One of the popular sayings by Periyar which often quoted is “Can rats ever get freedom because of cats? [Can] sheep and fowl ever get freedom because of foxes? [Can] Indians’ wealth ever increase because of the white men? [Can] non- Brahmins ever get equality because of Brahmins?” He discouraged men’s participation in women’s struggle for freedom as he believed that no one had the right to speak for and represent the victims but the victims themselves. No one understood “Freedom is acquired by conquest, not by gift” better than Periyar. Periyar’s actions were not restricted as he was not bound by loyalties towards any tradition or political affiliation. He believed in the spirit of rational and critical enquiry and critiqued anything that had the vein of inequality running in it. Periyar is a free soul whose ideas are relevant even today. If he had been alive today, he would have carried the tag ‘anti-national’ with overwhelming pride and led the other anti-nationals against oppression, injustice and inequality. No wonder, certain people want to pull down his statue. Aazhi is a literature graduate who dreams of understanding Derrida, Foucault, and Nietzsche one day. Next articleकुपोषण से बचाने वाली आंगनवाड़ी कार्यकर्ता की तनख्वाह कुपोषित क्यों है?